Do you remember that feeling when you benched your personal best? Did five more sit ups? Ran that extra mile? Etc. And no one knew it, but you? Yes, that feeling of accomplishment. I'm feeling it right now! 6 miles, straight freestyle, 2 hours and 35 minutes! Yeah, baby! That's my HAPPY HOUR! 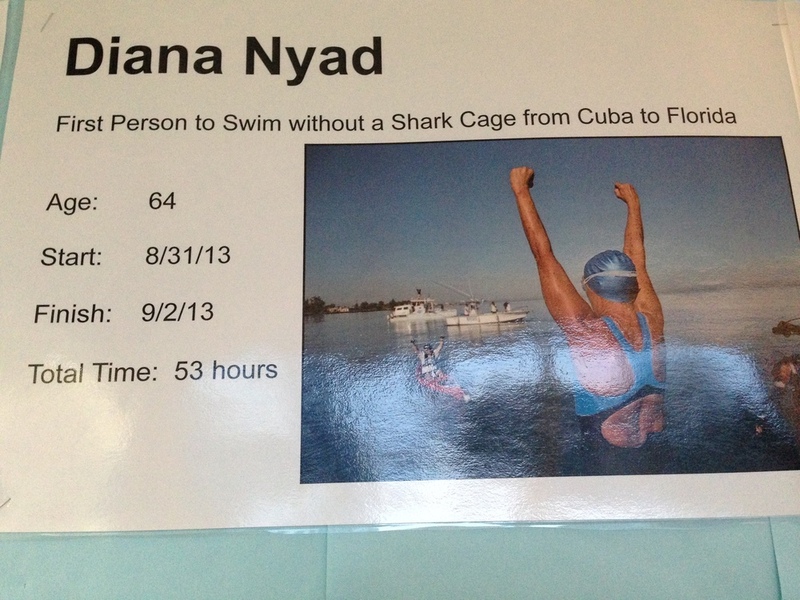 I'm in my third month of completing what my local YMCA is calling the Diana Nyad Challenge. Basically, the YMCA has challenged its members to swim 110 miles which simulates the swim Diana Nyad completed earlier this year from Cuba to the Florida Keys. Luckily, I can set my own pace!